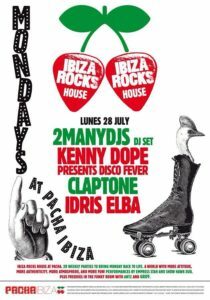 Yesterday Claptone played at the one and only Pacha club on Ibiza. It seems Mondays are not that blue on the white isle.. Especially if you have artists like 2manydjs, Kenny Dope, Claptone and Idris Elba to bring the first day of the week back to life.